The Women Inspired podcast, hosted by April Seifert, is your weekly dose of inspiration to live life to the fullest, move forward in spite of fear, squash your self-limiting beliefs, be your best self, and go after your goals and dreams! 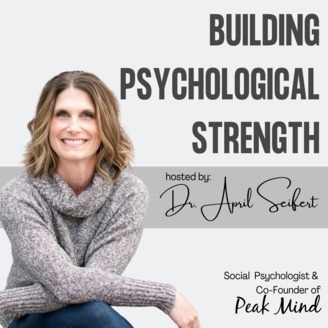 April is a Social Psychologist and Psychological Coach, and her conversational, high-energy interview style inspires both her guests and her audience to take themselves seriously and live their best lives. If you smoosh together Tony Robbins and Jen Sincero, you'd get something that sounds a lot like this podcast. If you are ready to take action and create a fulfilling life without regret, this podcast is the inspiration you need! How many times have you felt the urge to try something new, but you stopped short because you felt like you weren’t qualified? For example, maybe you want to write a book, but you didn’t go to school to be a writer. Have you ever considered that the qualification doesn’t precede action? Rather, it is through action that you become qualified. Also, it is through action that we literally become the person we need to be in order to stretch outside of our comfort zone. This episode is your permission to pivot. Recently, I announced my partnership with Ashley Smith to form Peak Mind: The Center for Psychological Strength. Think of it as a gym membership for your mind! We’re so excited about this new venture that we’re offering a FREE 4-part Achieve Your Peak video series. 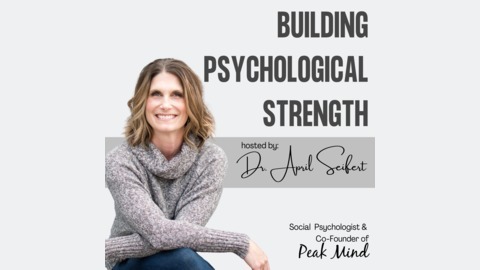 Sign up now at www.peakmindpsychology.com/webinar. The doors won’t be open for long!